A recent Magic Quadrant for Application Security Testing (AST) by Gartner summarizes that Security Testing is growing faster than any other security market, as AST solutions adapt to new development methodologies and increased application complexity. Security and risk management leaders must integrate AST into their application security programs. The need to ensure Application Security has intensified with the number of risks and attacks in the virtual world. This is the reason Automated Security Testing has taken precedence and the idea of Continuous Testing and Delivery is also being endorsed. As a regular practice, Security Testing is conducted once the application has been delivered. The application is tested for security flaws and authentication, however, the results could be inadequate and can end up disrupting the application. DevSecOps has evolved to balance the Security Testing needs by incorporating the intrinsic strengths of DevOps within the Security Testing process. This model offers a framework to add security checks within the development and deployment pipelines and makes everyone responsible for ensuring security. So, automated tests are embedded within the testing cycle, keeping the DevOps model in focus. This has resulted in the rise of various tools and technologies to enable enterprises to deliver Security Testing with the DevOps outlook. Software applications are getting complex and can potentially get threatened due to market risks and various inherent vulnerabilities. Testing, thus, has to be rigorous and iterative. DevSecOps brings together the strengths of DevOps, Security Testing and Automation. The core objective of DevOps is to provide more power to the development teams for deploying and monitoring the application. Consequently, implementing automation testing to enable faster results assures better quality of applications. The DevSecOps movement is still emerging and the rules are still falling in place. 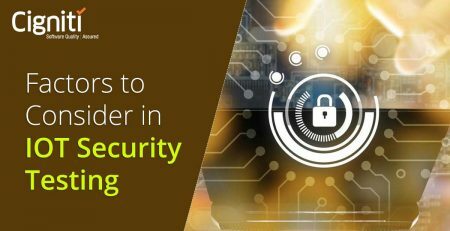 Enterprises are understanding the best possible way to automate and implement Security Testing. In this way, Security Testing gets stronger, iterative, and much more agile to deal with market challenges. The concept is still evolving, but the fundamentals are the same, which remain very much close to Automation Testing and DevOps model. Incorporating the Security aspect is important. Continuous Testing and Delivery forms the core of the DevSecOps model and makes the testing and development process more collaborative. Best practices for automating Security tests are similar to the best ways for implementing any automated testing projects. Just that Security tests have to be integrated seamlessly in the process. Performing a check is absolutely important. It is recommended to break the application into parts/units and check them for vulnerabilities. This helps in identifying failure paths and loopholes in every aspect of the application’s vulnerabilities. 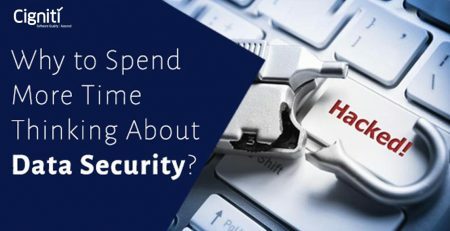 Many viruses and bugs in the cyber space tend to dig into the basic and most unnoticed security vulnerabilities. It could be poor authentication, ineffective passwords, or inadequate security policies. There are vulnerability scanners for identifying hidden network and vulnerabilities at the host. By breaking the application and running automated tests for every function, the vulnerabilities can be effectively identified. This is the first step or the most fundamental aspect, as this will enable the teams to take up further actions and deliver on a consistent basis. In fact after the tests are executed, the teams can categorize vulnerabilities as per their technical severity, recommending single security solution or multiple patches and upgrades. Automation of test is an enabler for the entire DevOps approach. DevOps can be made successful only if automation is implemented successfully. The concept of Continuous Testing and Delivery works with the fundamental that test automation is effectively implemented through the process. The concept of DevSecOps boosts the idea of automating Security tests through the test cycle. The best way is to integrate the best practices of Test Automation and DevOps approach with Security Testing objectives. While the Continuous Testing process is in motion, Test Automation helps to find the defects simultaneously and the software release is happens on a continuous basis. Consequently, during the deployment stage, tests are in process to validate the security of the application. As a result, there are multiple tools and technologies in the market to encourage the implementation of DevOps. Similarly, with a potent combination of automation, security testing and DevOps, there is a critical need to pick the right tool for implementation. It is estimated by Gartner that about 80% of enterprises will embrace DevOps in the near future. You can freeze on any test automation framework, but it has to orchestrate well with the objectives of the project and the security requirements. Ideally, it is recommended to choose a tool that the development, operations, and security teams are familiar with, and can integrate effectively into the test cycle for tangible results. Security Testing requires special treatment and approaches. Automation for security tests is similar to automation of functional or performance tests. While automating the tests, security tests can be segmented into functional Security tests such as authentication and password generation, Specific non-functional tests against known weaknesses, Security scanning of the application and infrastructure, and Security testing application logic. The core idea has to be to segment the objectives of security testing and automate the tests to specify the success criteria. Getting the required results and resolving the vulnerabilities with required automation is important. There is nothing to be addressed as over-automation or under-automation as long as the business-critical objectives are met. The objective of automating security tests is to get the application ready for any possible outbreak or mass attack. While defining the objectives and strategy, it is important to use the right tools/framework for an outburst. The current scenario is scary for any application and the vulnerability can emerge from within the application or an external one. Developing automation frameworks to test any such vulnerability attack can be a good practice. Automation frameworks get enhanced with better test cases over a period of time. So, investing in building a robust framework for security testing is definitely worthwhile for an enterprise/team. A recent news report has announced a cyber-attack on one of the world’s largest insurers (Lloyd), which has claimed a damage of $53.1 billion to $121.4 billion. Cyber-attacks and virus threat has reinforced the need for Security Testing across every industry. The best practice is to build a comprehensive Automated Security Testing strategy and secure your business-critical application. Connect with us to build applications that are resilient in the current cyber scenario. 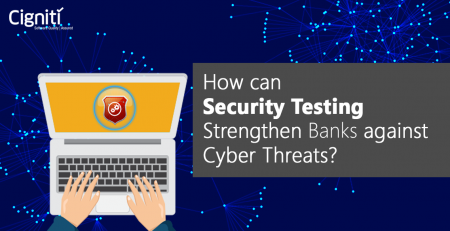 How can Security Testing strengthen Banks against cyber threats?